I had a strange chain of reads recently that I want to share with you. 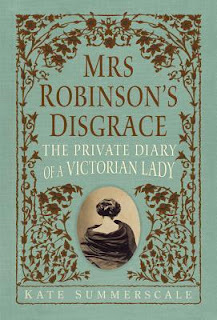 First, I picked up Mrs. Robinson's Disgrace: The Private Diary of a Victorian Lady by Kate Summerscale (of Mr. Whicher fame) from my TBR as my first non-fiction read of the year. It's the story of Isabella Robinson, a woman who made the mistake of a) marrying an a-hole and b) keeping a diary of her feelings, flirtations, and, possibly, indiscretions. In 1858, England started allowing faster and cheaper divorces and Mr. Robinson was first in line, accusing his wife of infidelity based on the diary that he found in her desk while she was ill. What followed was a battle in the public eye over whether she was an evil adulteress or a typical woman, deranged by her malfunctioning uterus. The book really got to me. 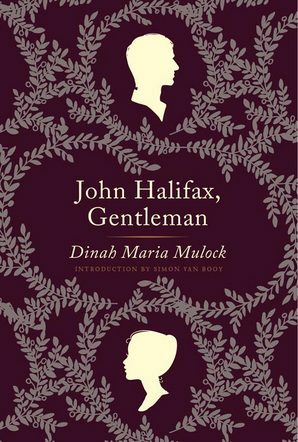 It was difficult to read how women were marginalized and abused, both by society and by the law, in Victorian times (and earlier). Isabella moved in rather grand circles and one of her purported lovers owned a health spa, frequented by the likes of Charles Darwin and female authors Dinah Maria Mulock and Georgiana Craik. 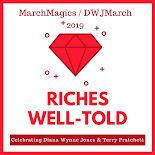 It was this doctor who put up the defense during the divorce proceedings (because he was named as co-defendant) that her journal was nothing but fantasy, a writing exercise, and that she had such vivid imaginings because of her female troubles. The book does not come to a conclusion as to the veracity of the journal but we as readers do come to the conclusion that Isabella was very unjustly treated by one or more men in her life. 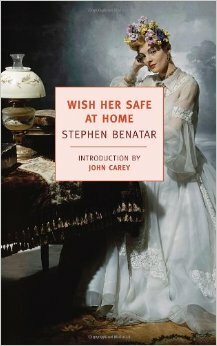 So then I picked up Wish Her Safe at Home by Stephen Benatar, knowing only that it had something to do with mental illness and I was obsessed with the topic at the moment. Holy cow. This is a first person account from a woman that is truly off her rocker. I don't know what her diagnosis would be today but Rachel Waring most definitely has a progressing mental illness throughout this story. To read this after Isabella Robinson's story just made me feel the unjustness of that true tale even more as she never once showed real signs of madness. I didn't love this book but was glad to have read it as it was different from my usual reads. John Halifax, Gentleman by Dinah Maria Mulock, which I had received a copy of when Harper Perennial released this beautiful Legacy Edition last year. Mulock wrote this book while staying at Moor Park, the aforementioned health spa, in Surrey. So, you can see how I couldn't resist reading this one immediately. And, while it's mainly the story of a lifelong friendship between two men, there's also a subplot about a woman who a) marries an a-hole and b) becomes unfaithful and leaves him, eventually returning broken and mentally deranged (though she didn't have a diary). I think it's no coincidence that this book was published in 1856, shortly before the Robinson divorce trial but after the couple was already legally separated. The main part of this story was a lovely tale of friendship between an invalid boy and an orphan as they age. It was interesting to read a Victorian story written by a woman that was not a sensation story. This one had social messages, such as the ones you would find in Dickens, but also had quite a bit of moralizing in it. I didn't 100% love everything in this one but I was sobbing by the end so I guess that tells you something! I'm glad that some of these lesser known novels are being repackaged and rereleased. Thank you, Harper! I read Mrs. Robinson's Disgrace last year and really liked it. There was no trend to my reading following it, but I do want to check into these other two books! Summerscale is a very thorough researcher. I like that she didn't draw conclusions either. She simply put all of the facts out there. Ugh, Mrs. Robinson's Disgrace sounds like the kind of book I'd read, love, and get really mad about. I've had Wish Her Safe at Home on my TBR for a while - I should check them both out. I just finished Dead Wake, about the sinking of the Lusitania, (true story) and one of the survivors was a woman who'd undergone some "therapy" which basically involved absolute bed rest, no reading, writing, not even getting up to use the rest room. It was thought that women couldn't handle any stimulation! Forgot the name of the doctor who thought this was a good idea but Charlotte Perkins Gilman wrote "The Yellow Wallpaper" after undergoing the same "therapy." It's so infuriating that women were treated this way. Dead Wake and The Yellow Wallpaper are both ones I've been meaning to read. In the case of Moor Park, they used "water therapy" -- basically lots of soaking baths and then shooting water jets at the afflicted areas. I can't imagine how that did anything at all. It was a ridiculous time. You've been reading some heavy books lately. The way women were treated back then is so hard to digest, but it's always good to read the books of that time. I usually read more sensational novels so these more realistic accounts were rough. Vera by Elizabeth Von Arnim, supposedly based on her marriage. And In Your Eyes. It's a movie written by Joss Whedon. Surprisingly good. Awesome. I've heard of the book but hadn't even heard of the movie! Oooooooh Mrs. Robinson's Disgrace sounds awesome. And maddening. I was alternately sad and mad while reading it. I kind of like books that make me feel!